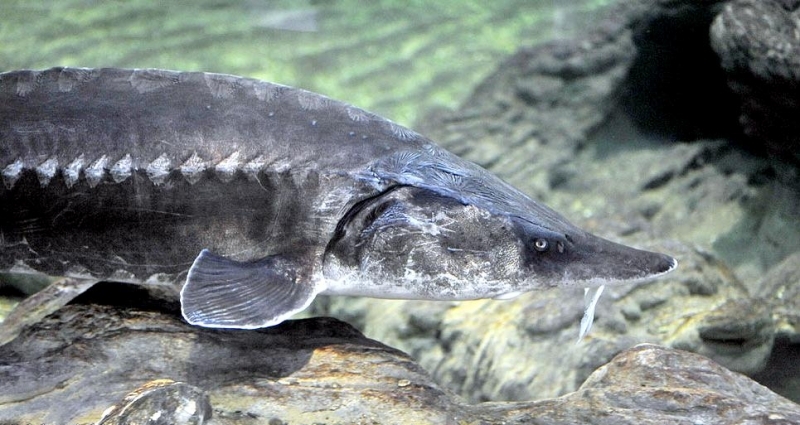 The Beluga Sturgeon is the biggest freshwater fish in the world. 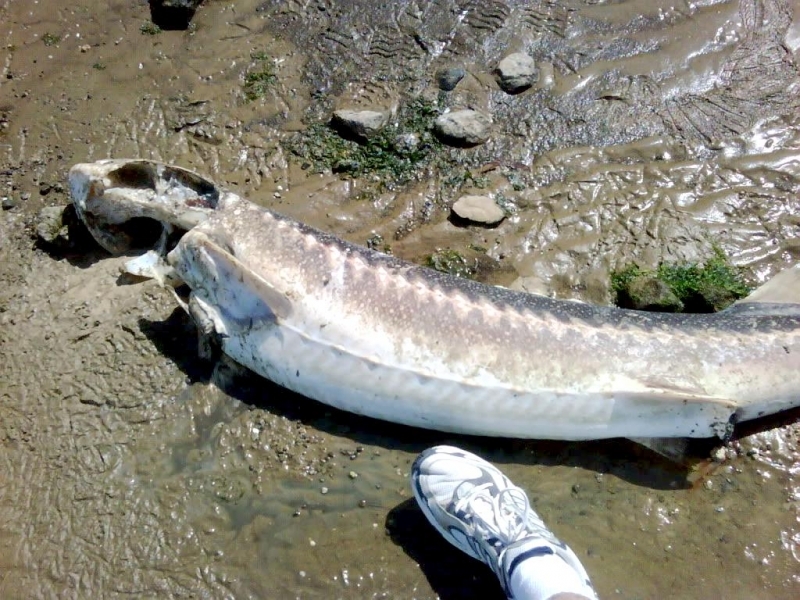 The largest Beluga Sturgeon ever caught weighed 1,571 kilograms and was 7.2 meters long. 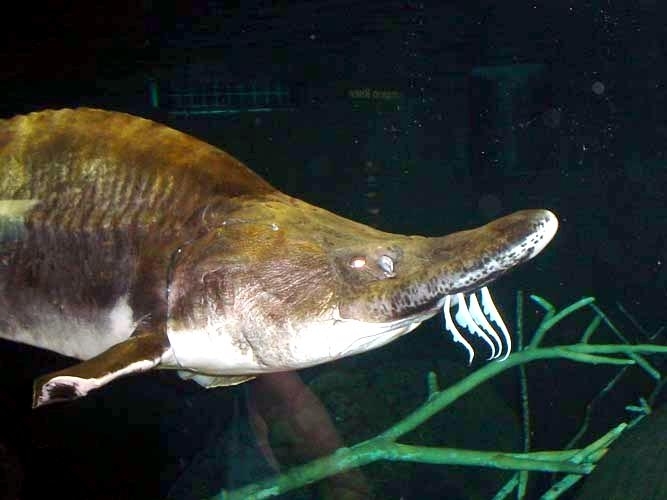 They are extremely long lived and does not reach maturity until at least 15 years of age. 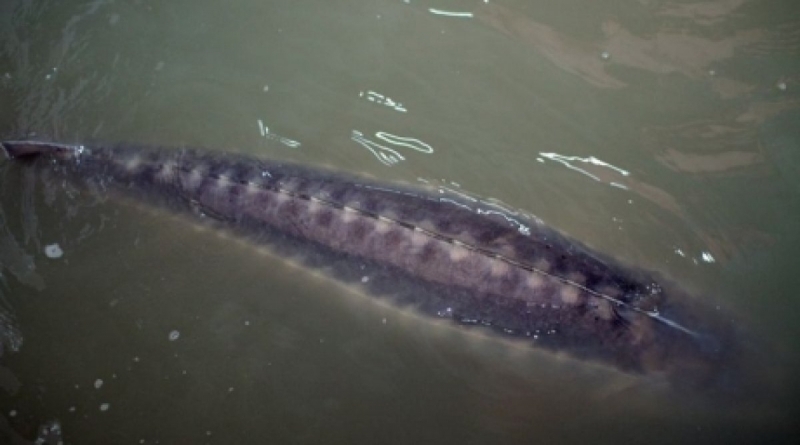 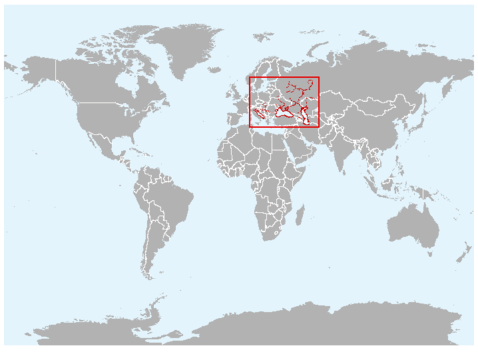 Beluga Sturgeons are listed as Critically Endangered. 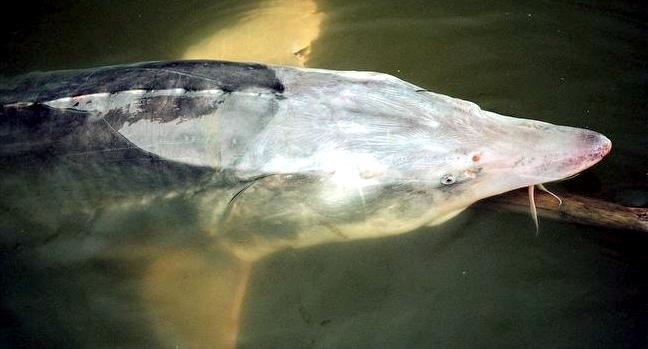 Reaching lengths of 24 feet (7 meters) and weights of more than 3,500 pounds (1,500 kilograms), the Beluga Sturgeon is the largest sturgeon and one of the largest bony fishes in the world. 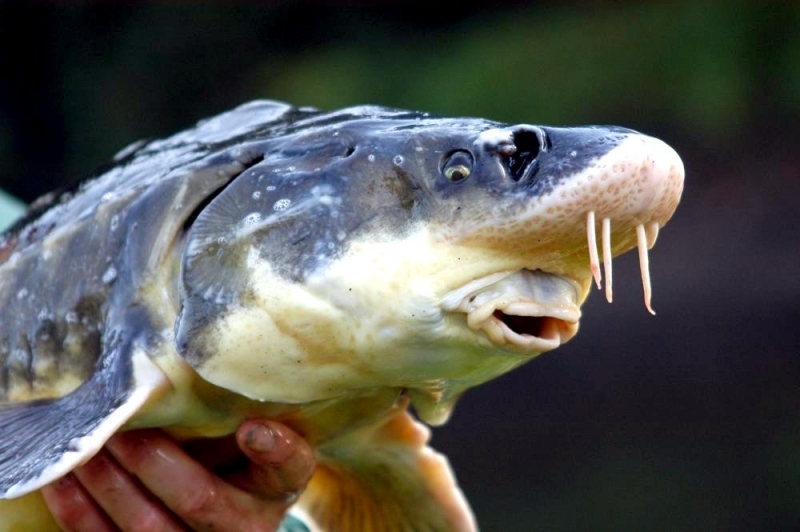 It has a life cycle similar to the salmons in that it hatches in freshwater rivers, spends most of its adult life in saltwater seas and returns each year to spawn upriver. 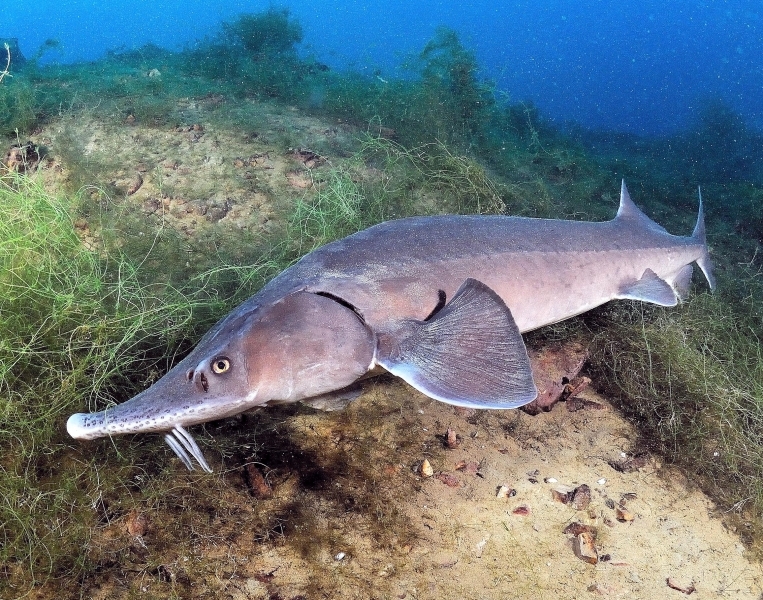 Unlike the salmons, Beluga Sturgeon reproduce year after year and large individuals may live for over 100 years. 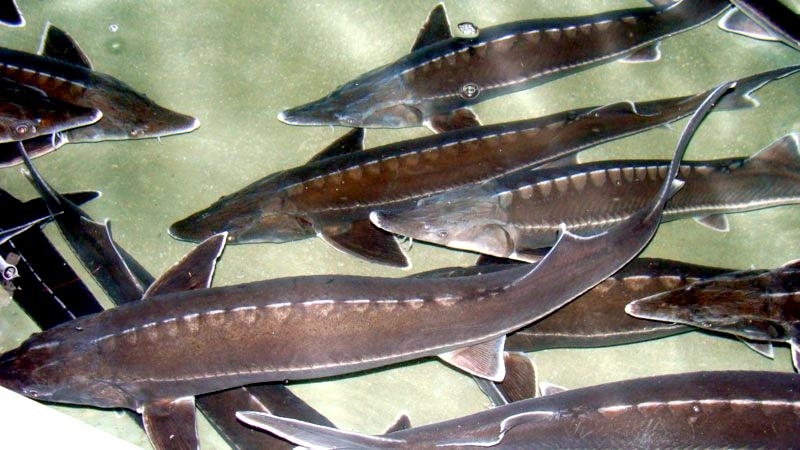 The Sturgeon family is a very old group of fishes (over 200 million years old) and make up one of the most primitive lineages of bony fishes. 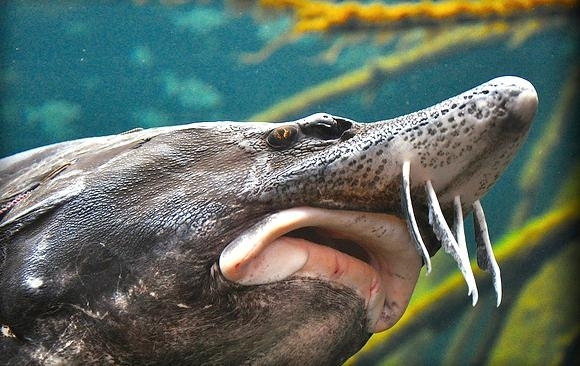 Their dinosaur-like bodies match their prehistoric lineage. 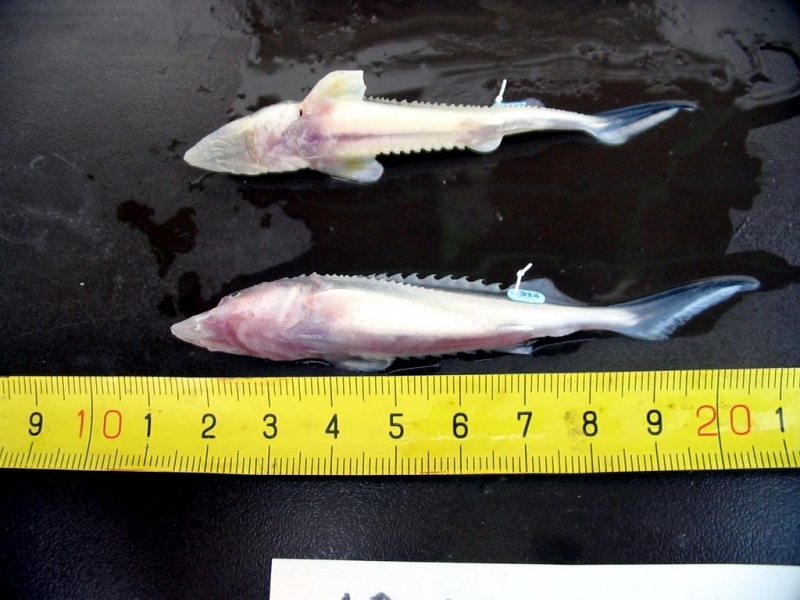 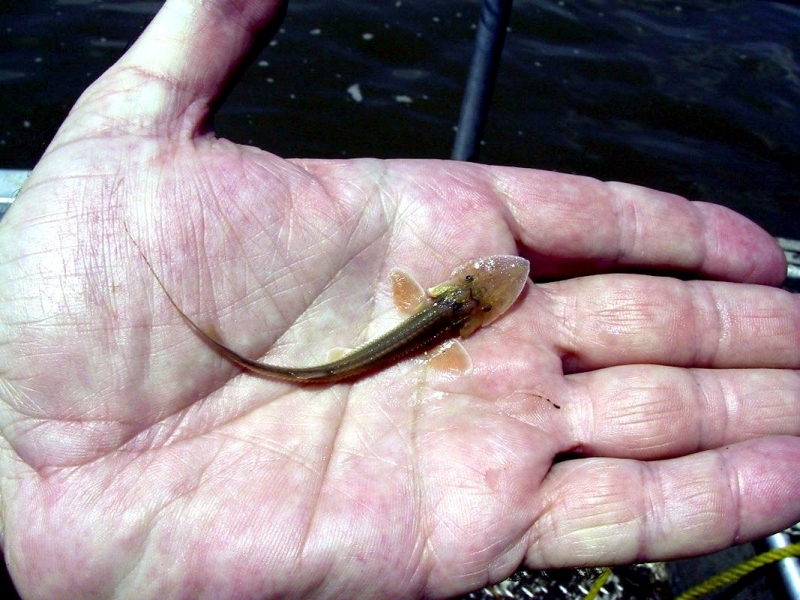 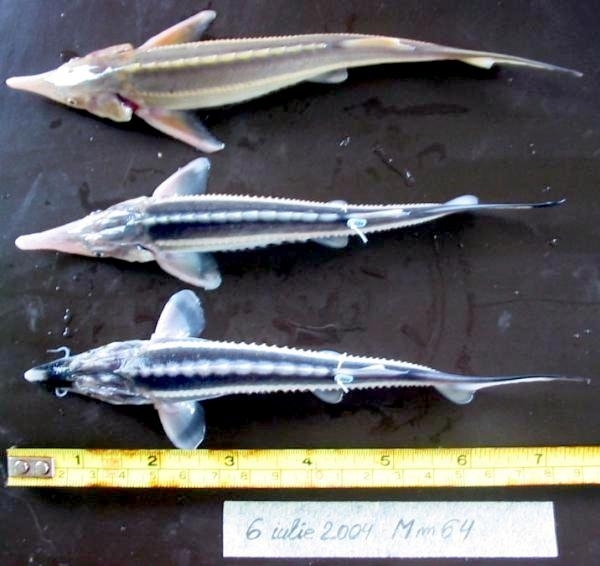 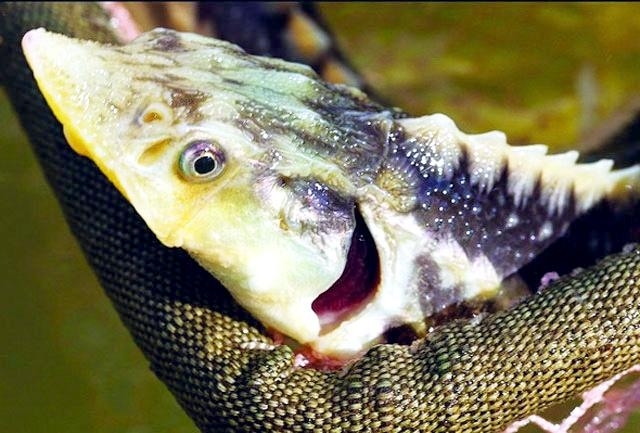 They are covered with strong bony plates, have asymmetrical, shark-like tails and have barbels off of their long snouts that help in locating their prey. 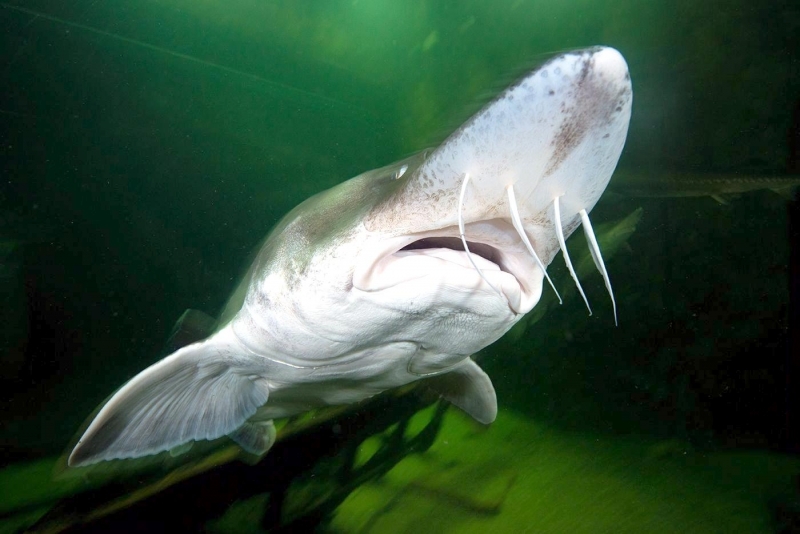 Combined with their extremely large size, the look of the Beluga Sturgeon can be quite intimidating, but this species is harmless and actively avoids people. 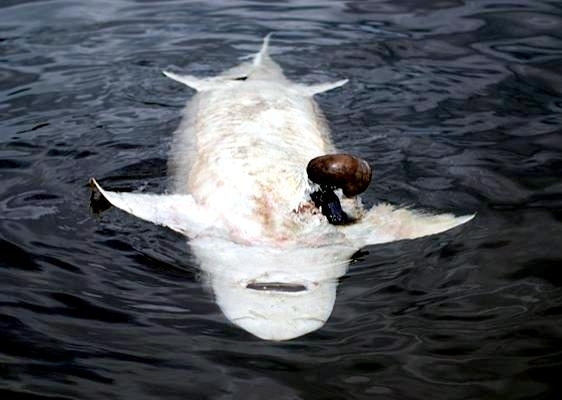 The Beluga Sturgeon is one of the only species of sturgeons that actively eats other fishes and is one of the largest predatory fishes on Earth. 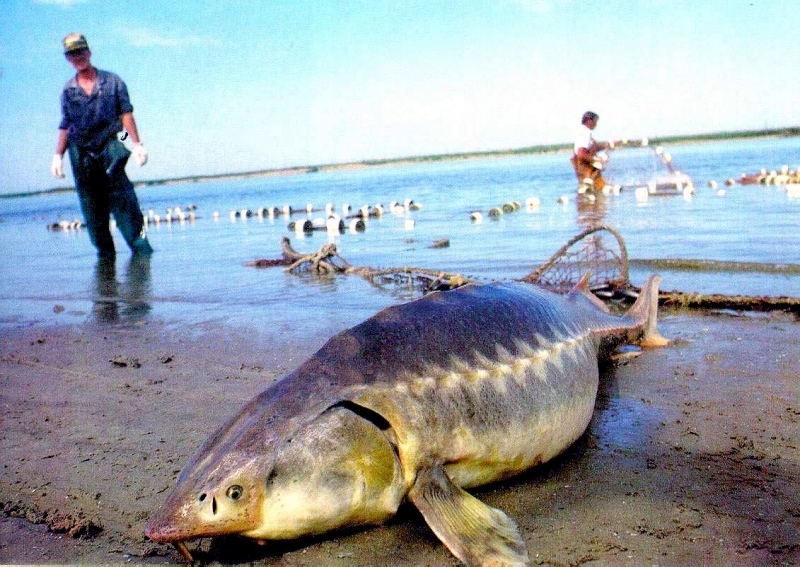 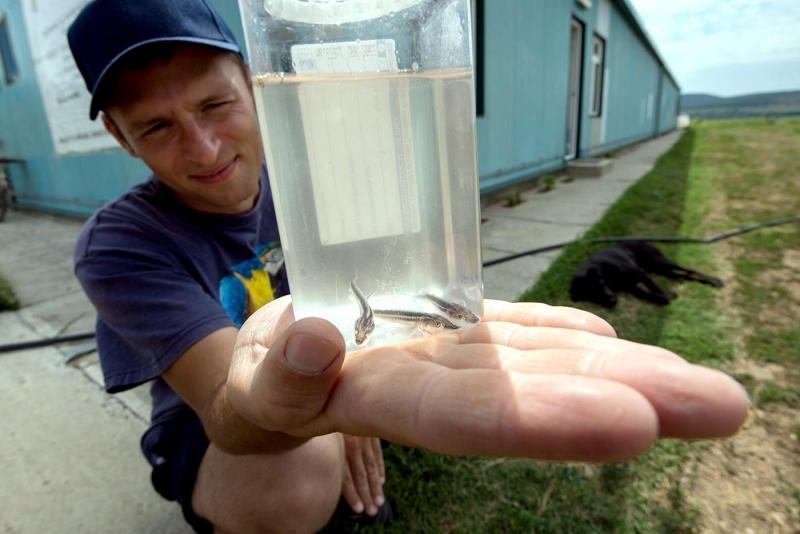 Adult Beluga Sturgeon have few natural predators, but fishing pressure by people has been very high. 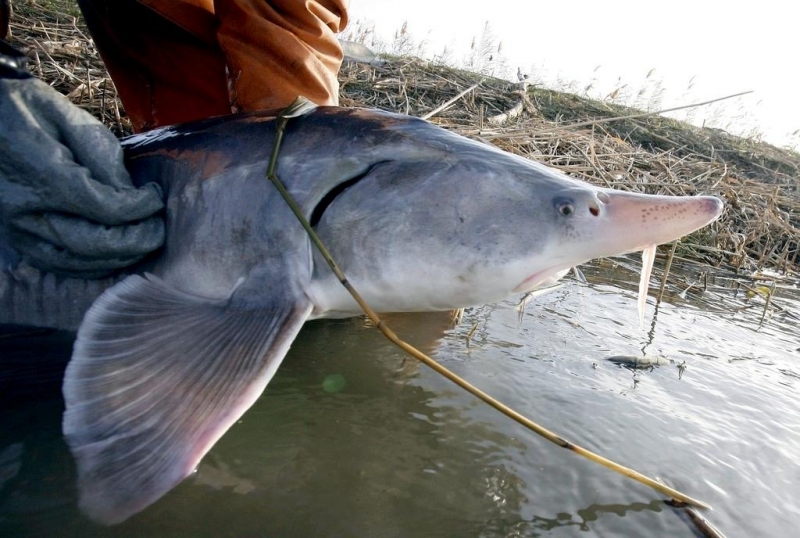 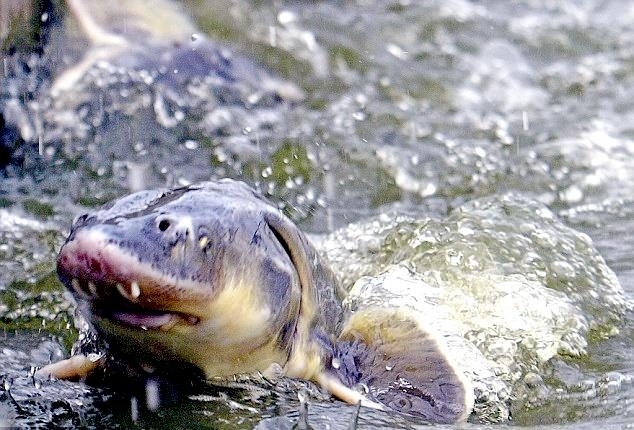 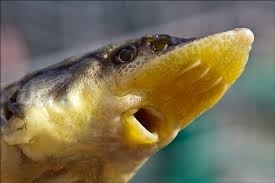 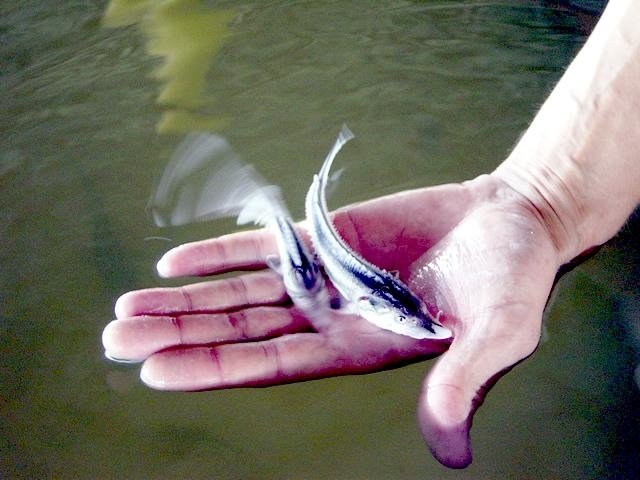 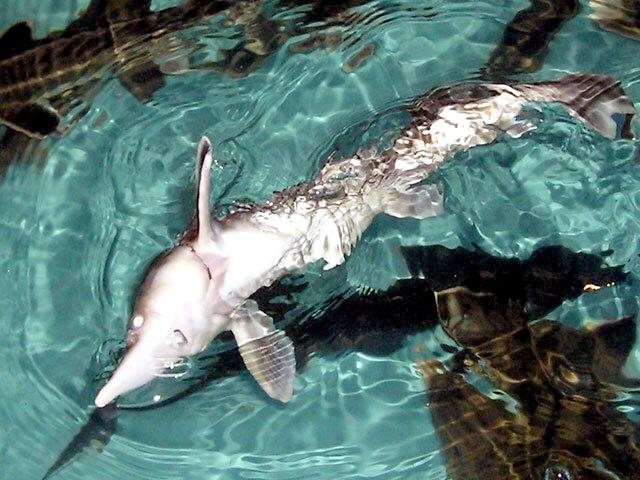 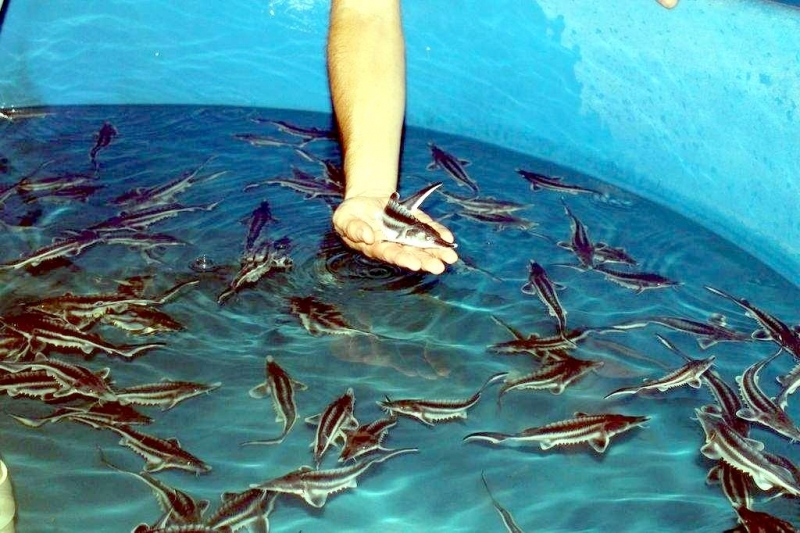 The Beluga Sturgeon is unfortunately, cursed with producing some of the most desirable caviar in the world. 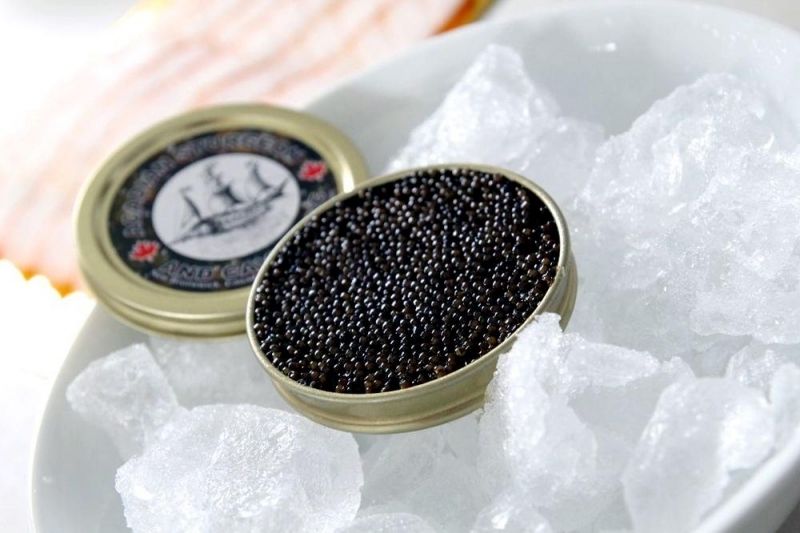 Caviar is the table name for fish eggs and Beluga Sturgeon produce millions of eggs. 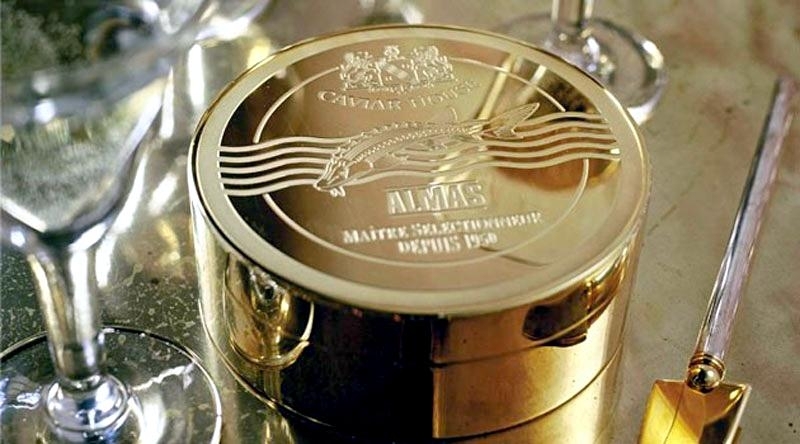 Large individuals have been known to carry several hundred pounds of caviar and Beluga Sturgeon caviar can be worth as much as $3,500.00/pound USD. 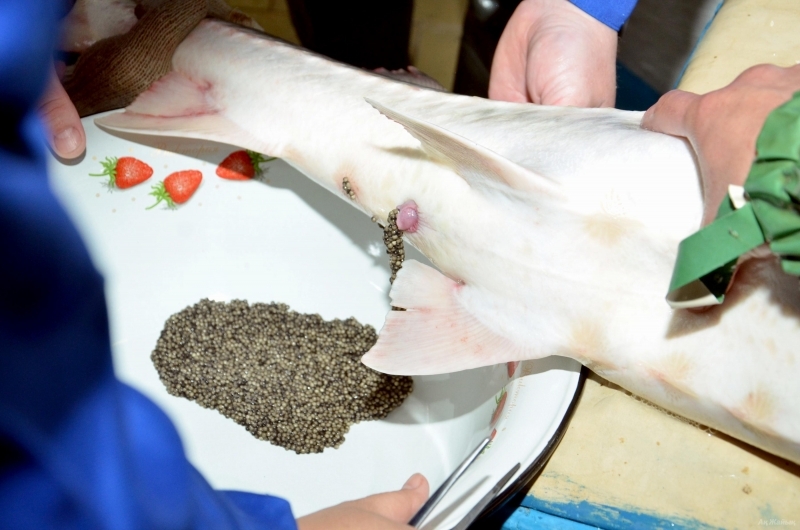 This incredible value combined with the amount of eggs that a single Beluga Sturgeon can produce makes this species the most valuable fish in the world to fishers. 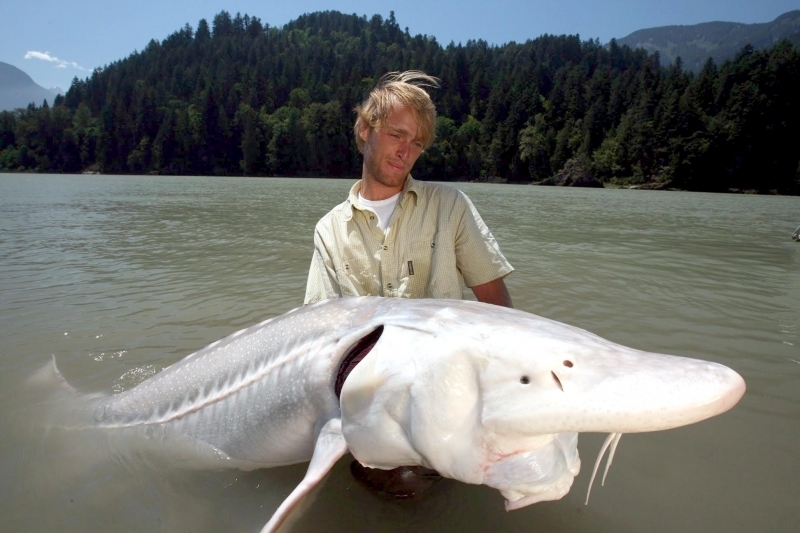 That value may be the Beluga Sturgeon’s doom. 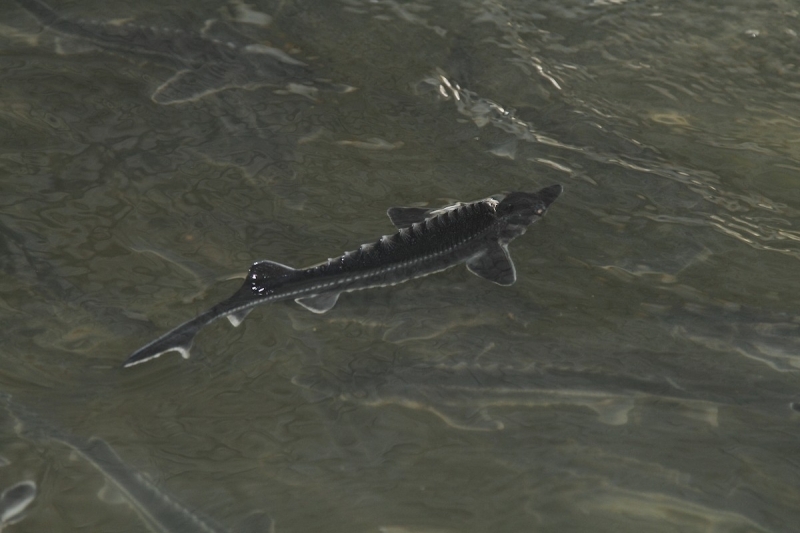 When preparing to spawn upriver, the Beluga Sturgeon is easy to capture by harpoon or in nets. 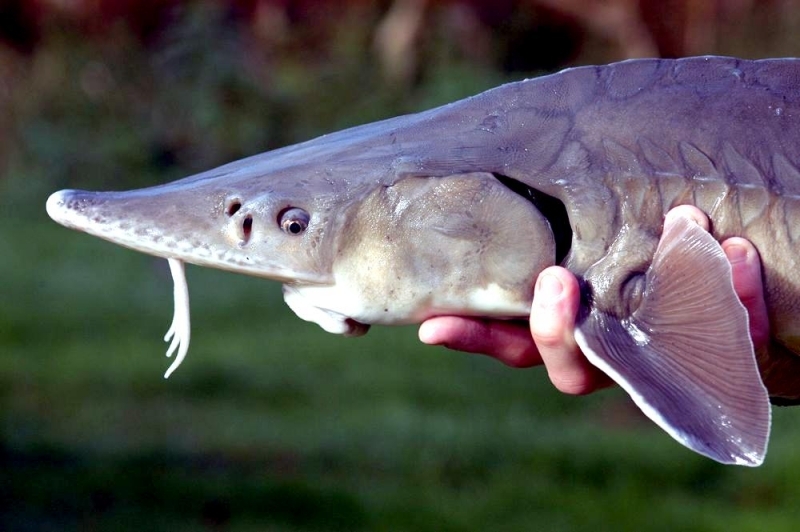 Even though it has been given limited legal protection in many areas, its numbers are decreasing everywhere that it lives. 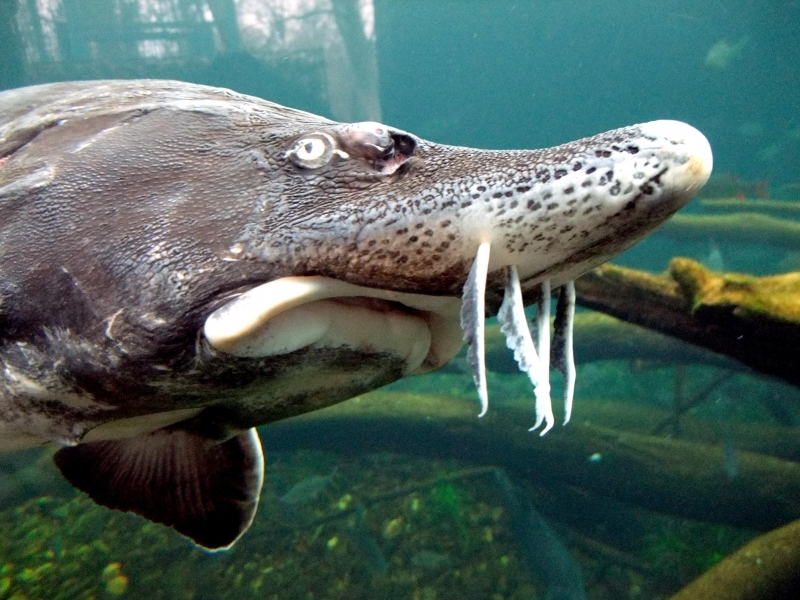 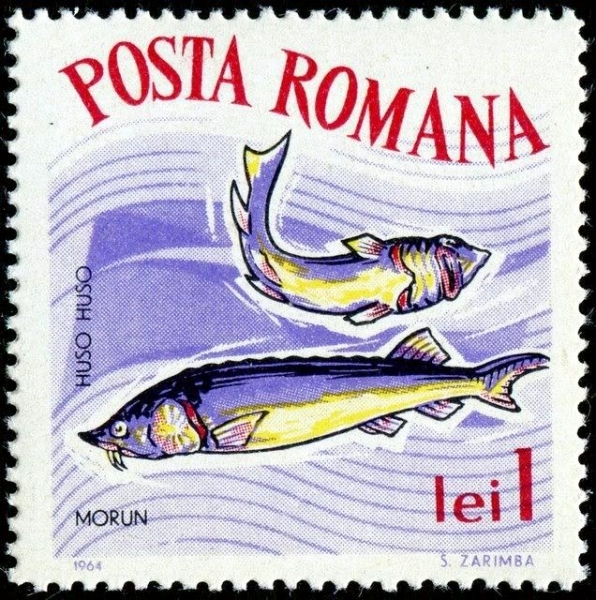 It is completely gone from several seas/rivers in which it used to live and scientists fear that it is critically endangered. 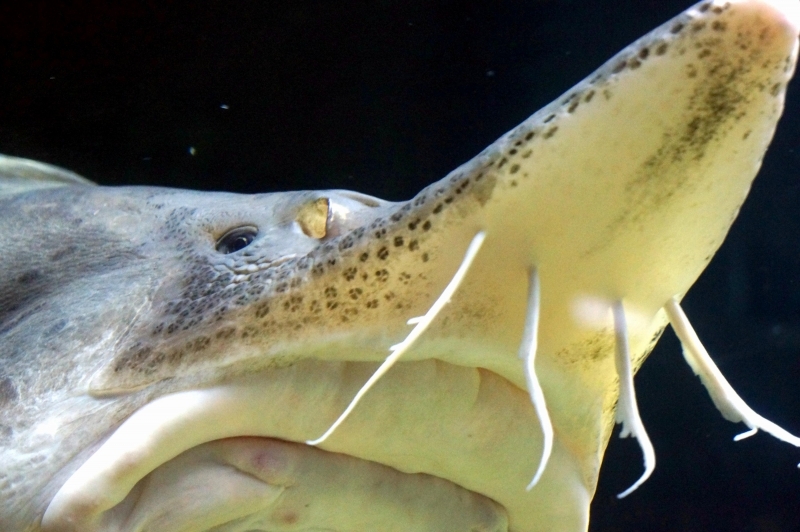 In other words, it is very highly vulnerable to extinction across its entire range. 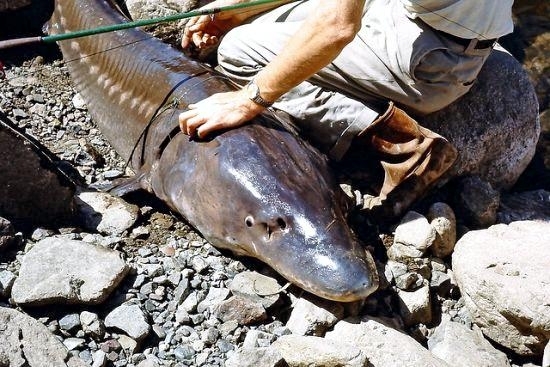 Without further protection and enforcement of existing efforts, we may forever lose one of the biggest and most interesting fish in the world.